Mumbai : Private Life Insurer Shriram Life Insurance Company has posted a record 42 per cent growth in issuing 61281 new retail polices in the first quarter of current fiscal year 2018-19 as against the same period of the previous fiscal year. Shriram Life is the only company with around 50% of its sales coming from rural India. 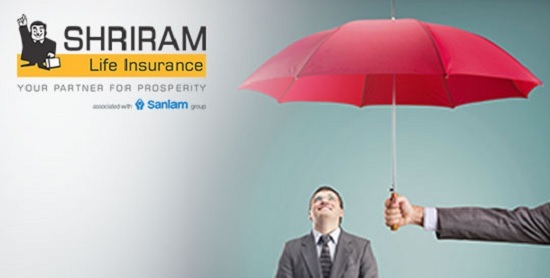 The Q1 performance has moved Shriram Life into the top 5 of 23 Indian private life insurers on number of policies basis. It was at number 8 for FY18. Shriram has also moved from 17th to 15th position on APE (annual premium equivalent) for the quarter with a ranking of 13th for the month of June, 2018. “The very tough balancing act of scaling up our reach in rural India, getting low premium sizes and regular renewals from customers with irregular incomes and managing that within expense guidelines is almost impossible. However, the Shriram team (our channels, partners and support teams) is doing a great job in achieving that,” Casparus Kromhout said. As part of the Shriram Group, the company focuses on the “aam aadmi” customer segment with over 50% of its policies sourced from the rural area and a significant chunk from the tier II and III towns. Shriram Life works with the purpose of providing life cover to these families that are most vulnerable to financial catastrophe due to untimely loss of a breadwinner. This is true economic inclusion. The Focus for the company has been to spread the protection net to the masses, with special focus on financial inclusion for the segment that is generally ignored by the mainstream players. To cater to this group, the company has unique distribution processes and products. The company has the lowest average ticket size in the industry at Rs. 13,749 for regular premium policies. Strong improvements in claims settlement ratio (incl. 48h claims settlement for valid claims), fraud management, persistency, underwriting margins, analytics, technology and the success of Digital and Alternate channels support the financial strength of Shriram Life and its ability to reach into the nooks and corners of India where Life insurance is needed most.